The first time I had Sangria was in Ecuador. It was one of the last days of my study abroad there, and our professor, Nancy, made a big batch to accompany our dinner of grilled chicken, veggies, potatoes, and grilled pineapple for dessert. We ate and drank on the beach, and after dinner, my friends and I hung out and ate the fruit from the bottom of the pitchers – hey, we were 19, in a foreign country, and excited to get tipsy! Nancy, who is from Venezuela, told me how to make Sangria in these words: “Cut up whatever fruit you have into small pieces, and add wine!” There are endless sangria variations – white, red, citrus, berries, bubbles, a splash of liquer – you really can’t go wrong! A couple weeks ago, my cousin Erin wrote asking for a Sangria recipe. 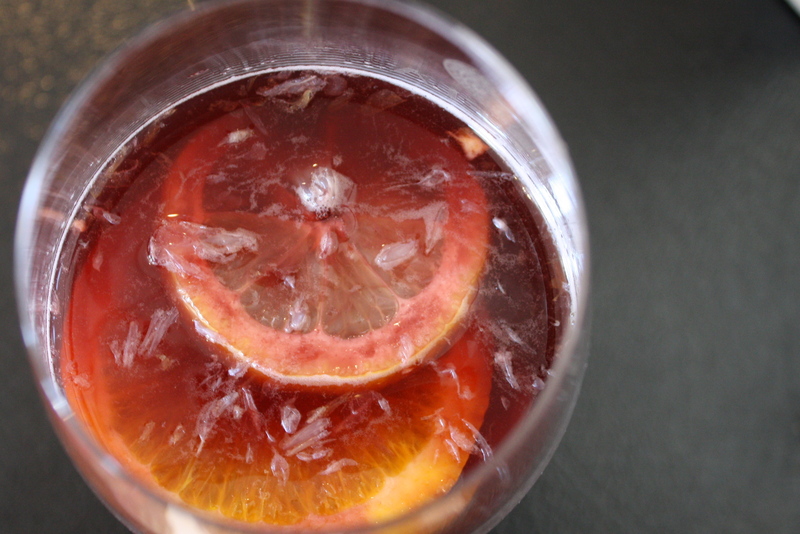 Thankfully, I had started making Sangria at the Bistro and was in the final stages of perfecting my recipe. Not too sweet, lots of flavor, and of course, refreshing! A double recipe has been selling out at the Bistro, which in my eyes is the best compliment. Disclaimer: At the winery I did not add Grand Marnier – it’s not in our liquor license! Wash and thinly slice each fruit. Place in pitcher. Add sugar, wine, and Grand Marnier and refrigerate for a few hours or overnight. When ready to serve, add Sprite. This entry was posted in cocktails, fruit, how-to, Sweet Life Laur Original, wine and tagged citrus, sangria, summer, vihuela, wine by Laura Zolnoski. Bookmark the permalink. 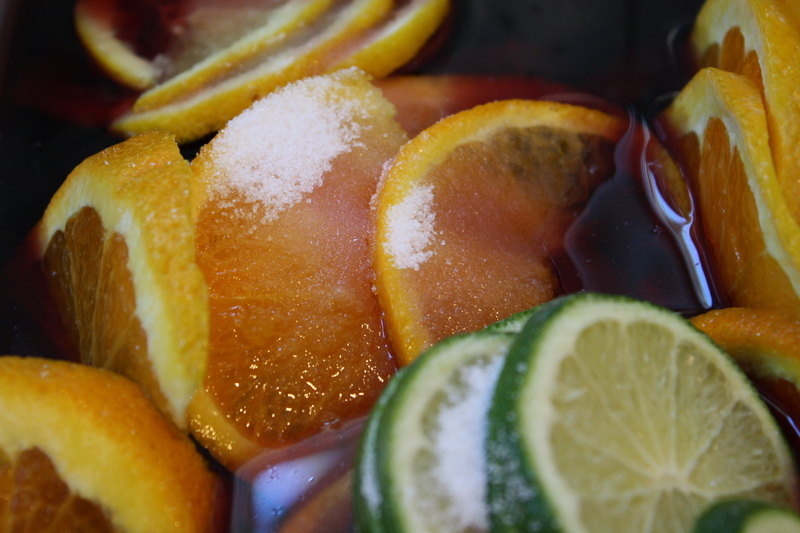 I remember that sangria in Ecuador…it was glorious!